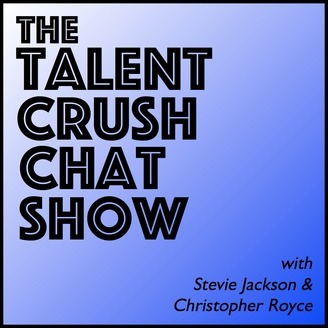 The Talent Crush Chat show is a podcast hosted by Stevie Jackson and Christopher Royce dedicated to discussing the art and culture they adore, and occasionally talking to the people who make it. New episodes the first Wednesday of every month. 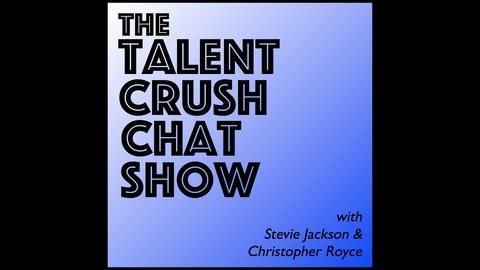 On Episode Thirteen of the Talent Crush Chat Show, Chris & Stevie talk about Captain Marvel, finding your mark, & more! Then they turn to the world of the fantastic show Brooklyn Nine-Nine with its complex portrayals of identity, masculinity, marriage, and friendship, and the fact that it truly is a ridiculously fun comedy. Plus: they completely neglect to mention that this is their first anniversary! Thanks for listening to our first year of episodes! NINE-NINE!